Four rights defense lawyers, Jiang Tianyong (江天勇), Tang Jitian (唐吉田), Wang Cheng (王成), and Zhang Junjie (张俊杰), as well as an unknown number of citizens were detained by police authorities in Jiansanjiang, Heilongjiang Province (黑龙江省建三江) one day after they visited a "legal education base" at Qinglongshan Farm (青龙山农场), which they believe to be a black jail where the citizens’ relatives are being unlawfully detained. As news of their detention reached the public, many lawyers and dozens of activists from different parts of the country traveled to Jiansanjiang to press for the release of the lawyers and citizens in custody. 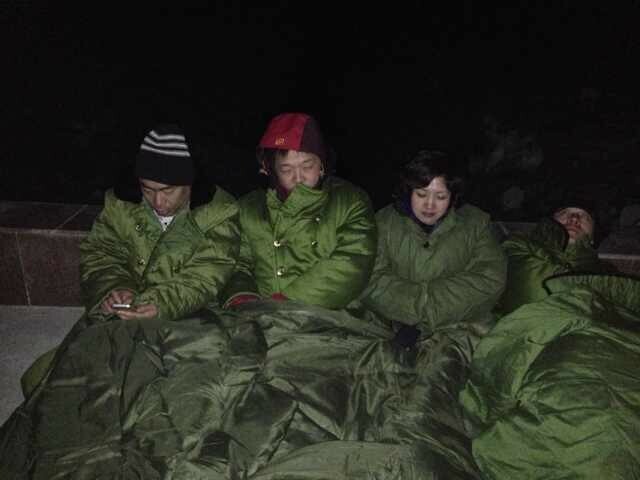 Several of the visiting lawyers—including Li Jinxing (李金星), known online as Wu Lei (伍雷); Zhang Lei (张磊); Hu Guiyun (胡贵云); andJiang Yuanmin (蒋援民)—began a hunger strike in the afternoon of March 25 to protest the authorities’ refusal to let the lawyers see the detainees who are held at the Qixing Detention Center (七星拘留所). The hunger strikers camped outside the detention center through that night—when snow fell and temperatures dipped below freezing— into the following day. Sources on the ground and information available online posted by those present describe an atmosphere of police terror in the area: local police cordoning off the roads leading to the Qixing Detention Center and preventing supporters from delivering water and food to the hunger strikers; police and unmarked vehicles as well as plainclothes police; check points for civilian vehicles; and cell phone signal interruption. One lawyer reported receiving a death threat. Below are photos from Jiansanjiang. 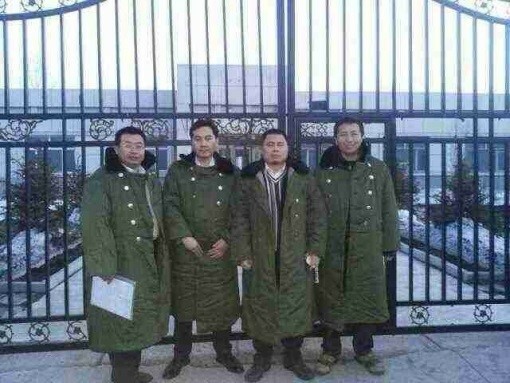 Lawyers, from left, Wang Cheng (王成), Tang Jitian (唐吉田), Jiang Tianyong (江天勇), at the Nongken Procuratorate in Jiansanjiang before their detention on March 21, 2014. 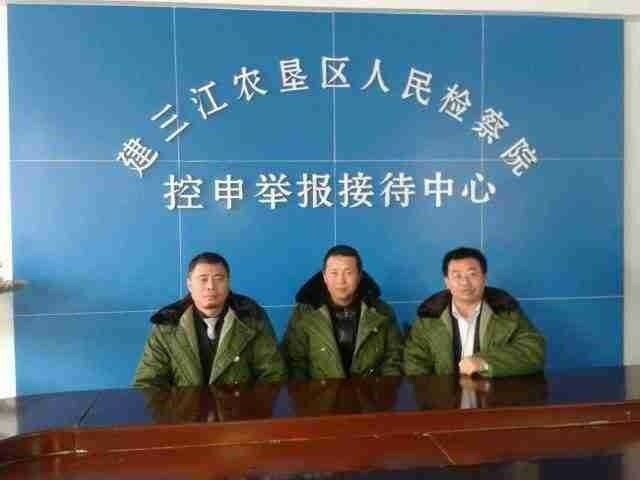 Lawyers, from left, Jiang Tianyong (江天勇), Zhang Junjie (张俊杰), Wang Cheng (王成), and Tang Jitian (唐吉田), in Jiansanjiang, Heilongjiang, before their detention on March 21, 2014. 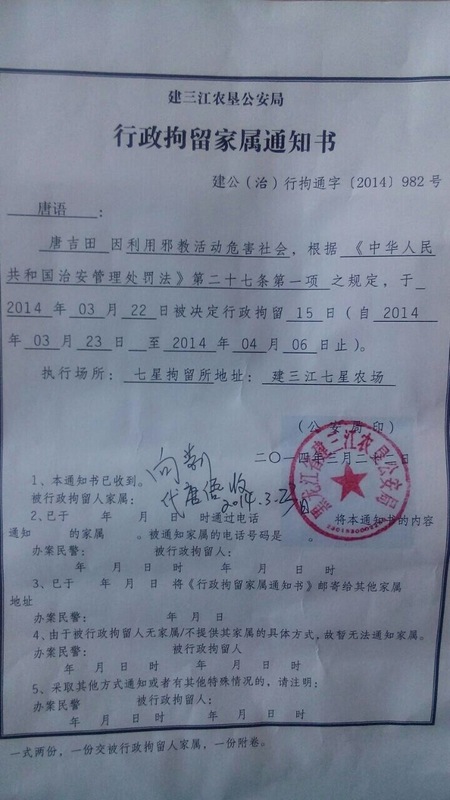 Notice of 15-day administrative detention (March 22-April 6) for Tang Jitian (唐吉田) from the Nongken Public Security Bureau in Jiansanjiang (建三江农垦公安局) for "engaging in the activities of an evil cult to harm society" (利用邪教活动危害社会). March 22, 2014. Lawyers and citizens outside the Jiangsanjiang Public Security Bureau, Heilongjiang, to protest unlawful detention of rights lawyers and citizens. March 25, 2014. 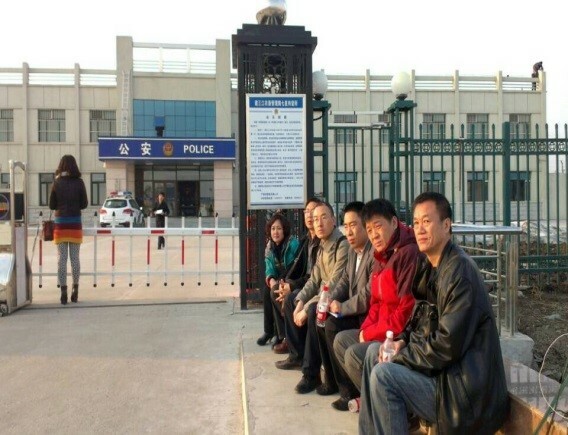 Lawyers and activists gather outside Qixing Detention Center in Jiangsanjiang, Heilongjiang, to protest unlawful detention of rights defense lawyers and citizens, March 25, 2014. 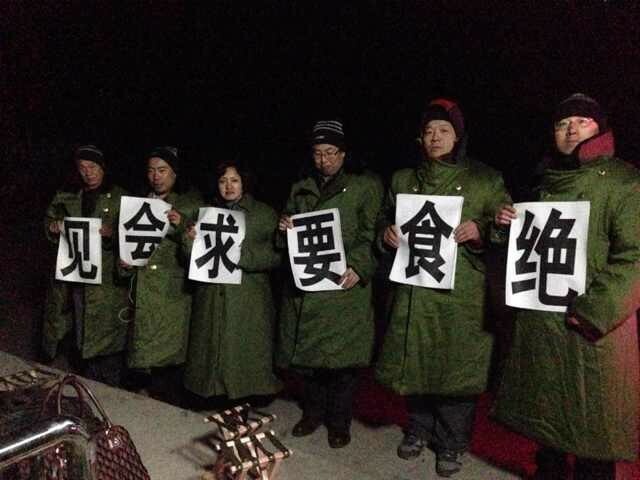 Lawyers and citizens declare hunger strike outside Qixing Detention Center, Jiangsanjiang, Heilongjiang, to protest unlawful detention of rights lawyers and citizens. March 25, 2014. 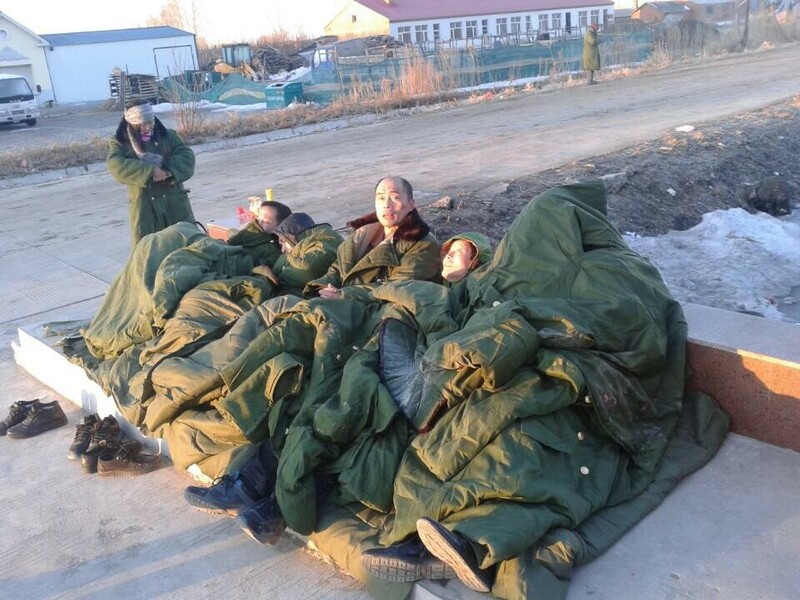 The hunger strikers camped out in front of the Qixing Detention Center in Jiangsanjiang, Heilongjiang, through the night in freezing cold, March 25, 2014. 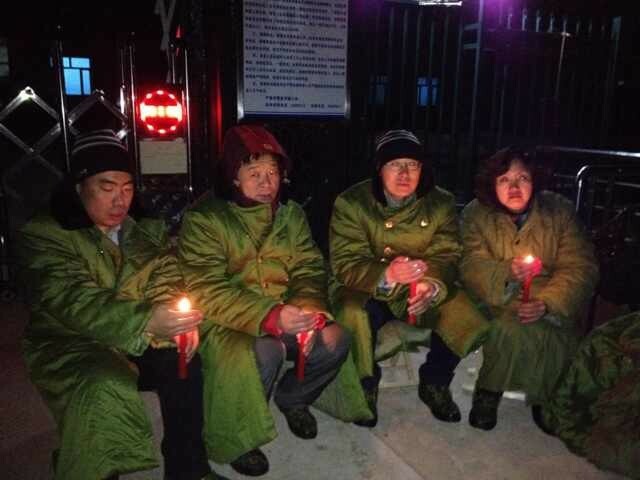 The hunger strikers camped out in front of the Qixing Detention Center in Jiangsanjiang, Heilongjiang, March 26, 2014. 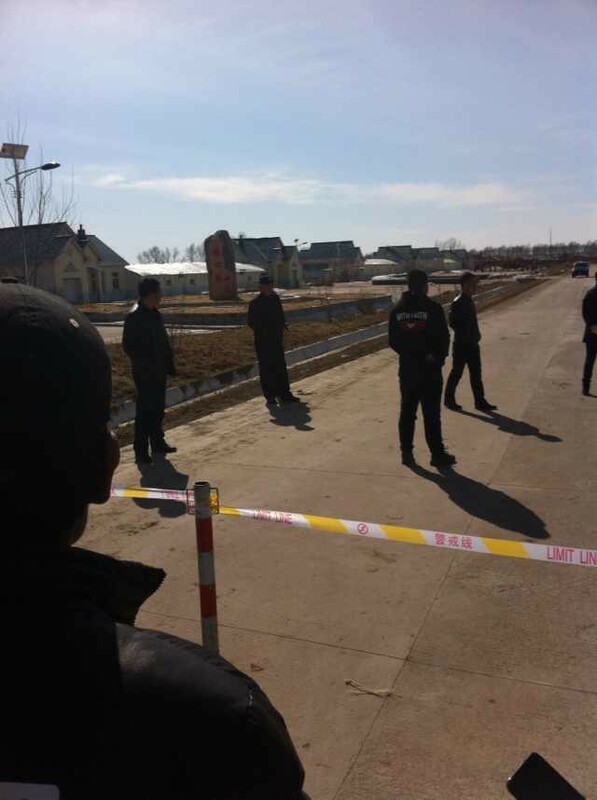 Police in Jiangsanjiang, Heilongjiang, cordoned off the roads leading to the Qixing Detention Center and prevented supporters from delivering water, food and fruits to the hunger strikers.